On April 16, the personal exhibition of the painter Alessandra Tabarrani took place at the City of Pianezza. Mrs. Kader, who opened the exhibition with the traditional cutting of the ribbon together with the painter, was warmly welcomed. To receive her the Mayor of Pianezza, Dr. Antonio Castello, the Councillor for Social Policy, tourism, equal opportunities, leisure and communication Monica Castrale and many other guests, including the renowned artist Guglielmo Meltzeid. 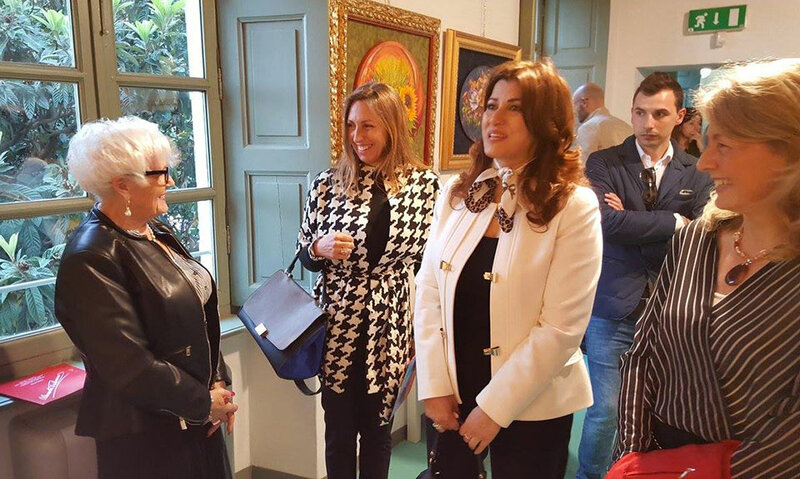 The Vernissage was the opportunity once again - said Mrs. Kader - to consolidate relations of mutual collaboration with the Municipality of Pianezza and its citizens which continue to express towards the Kurdish people words of solidarity and express them concrete support in this delicate moment in history.